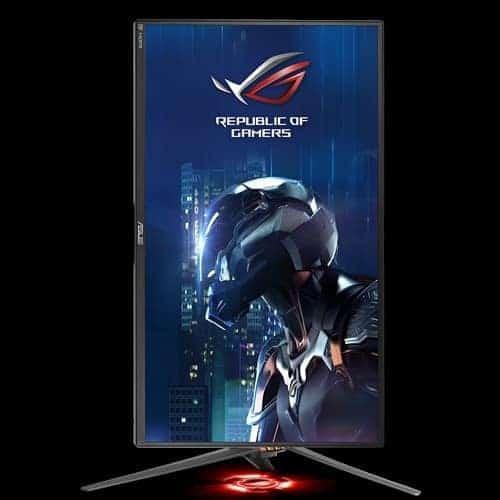 ROG Swift PG258Q’s astonishing 240Hz native refresh rate makes it twice as fast as conventional 120Hz monitors. You’ll experience amazingly -fluid gaming visuals, giving you the upper hand in first-person shooters, racing, real-time strategy and sports titles. There will be no break in the action! 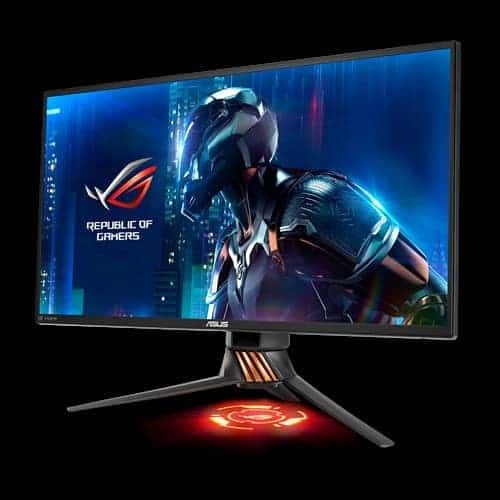 Coupling ROG Swift PG258Q’s 240Hz refresh rate with NVIDIA G-SYNC technology results in the smoothest, fastest, most breathtaking gaming imaginable. G-SYNC synchronizes Swift PG258Q’s refresh rate to the GeForce GTX graphics card in your PC or laptop to eliminate screen tearing and to minimize display stutter. There’s also the Ultra Low Motion Blur (ULMB) technology to make objects in motion look sharper, so gameplay is more fluid and responsive. 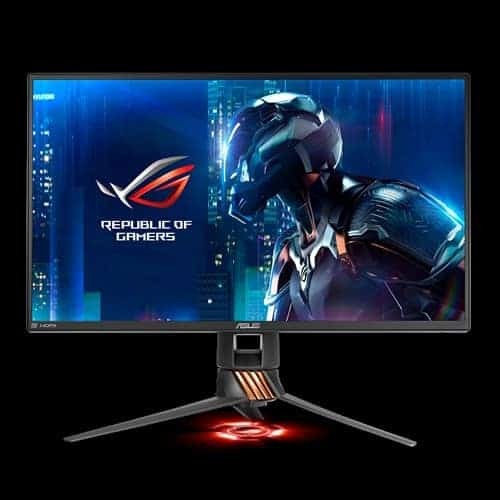 ROG Swift PG258Q is the fastest in its class, with a 1ms gray-to-gray response time to completely eliminate smearing and motion blur. It’s especially useful in fast- paced games – so you can take corners like a pro race car driver, or make that impossible headshot. Light Signature lets you create and customize ROG Swift PG258Q’s light projection effects. 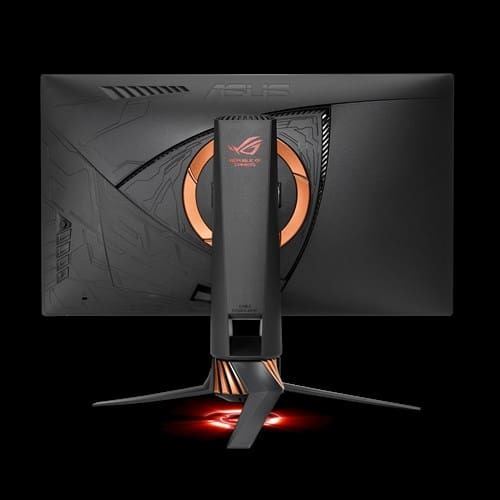 It includes two ROG logo covers, and three blank covers that you can customize with a marker to create your own unique light projections, to shine against your desktop surface. ROG Swift PG258Q is compatible with the NVIDIA 3D Vision® 2 kit to open up a world of 3D gaming. All you need is a NVIDIA GeForce graphics card and 3D glasses for a more immersive gaming and movie-watching experience. And with the latest NVIDIA® 3D LightBoostTM Technology, you’ll enjoy brighter 3D visuals, without an increase in energy consumption. Flicker-free technology helps reduce onscreen flicker, giving you a more comfortable, marathon-ready gaming environment. It is designed to minimize eyestrain, headaches and eye fatigue when you’re embroiled in long, drawn-out gaming sessions. 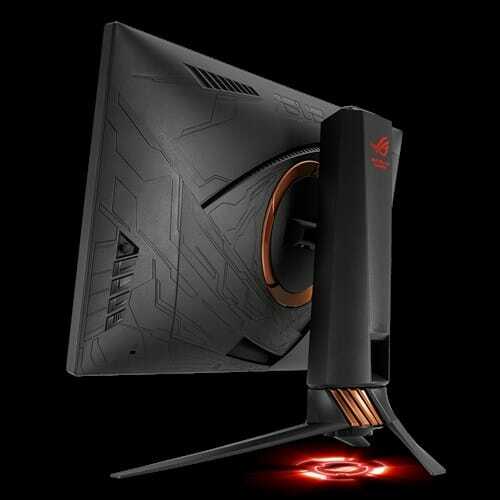 The ROG Swift PG258Q is specially designed for marathon gaming sessions. It has an ergonomically-designed stand with tilt, pivot, and height adjustment so you can always find that ideal viewing position whether you’re on the couch or sitting on your bed. ROG Swift PG258Q features a custom heatsink that’s twice the size of those found in other monitors to ensure it stays cool during marathon gaming sessions. Cooling is also aided by a Smart Air Vent design that uses convection currents to generate airflow within the monitor. This fanless cooling system ensures that ROG Swift PG258Q operates silently and stays maintenance-free.